New nonprofit Adopt-a-Bed may have just opened its doors earlier this year, but its team is already determined to make big waves in the world of mattress donations. The Salt Lake City-based charity was founded at the start of 2018 by Emma Petersen, an entrepreneur turned philanthropist inspired to get into the nonprofit game after witnessing first hand how steep mattress prices can prevent folks from getting the sleep they deserve. 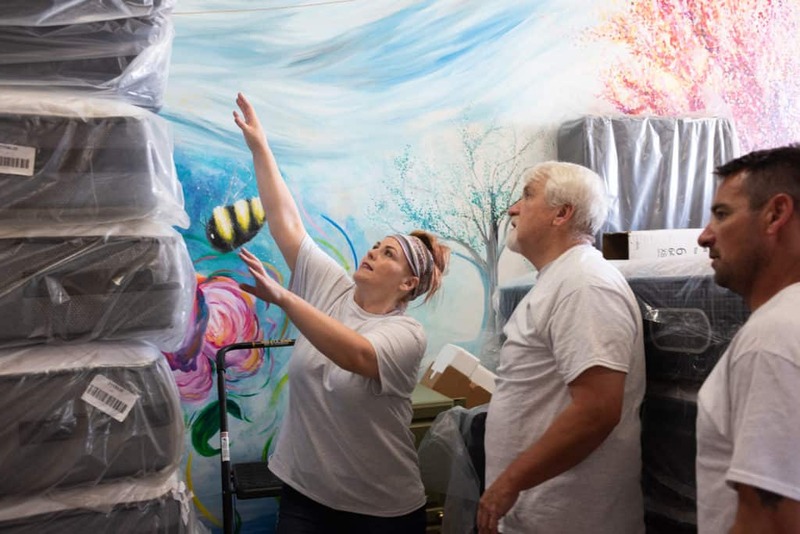 It wasn’t long before this impassioned side hustle bloomed into a fixation for Petersen, who came to find that not only were there no organizations in her home state of Utah geared specifically toward bedding donations, but that there were hardly any in the United States at all. So, in her words, she “changed [her] formula, secured funding” and got to work finding a solution. Emma Petersen directs Adopt-a-Bed volunteers. What she came up with was the Adopt-a-Bed model, which offers underserved communities a variety of ways to access high-quality sleeping products. There’s a gifting program in which donors can sign up for a monthly subscription of either $114 (which allows Petersen and her team to purchase one mattress), $12 (which equates to a blanket or mattress cover), or $7 (equivalent to a pillow). Once they’ve chosen their amount, they select the cause they’d like to support, including well-known entities such as Ronald McDonald House and Salvation Army. Adopt-a-Bed then funnels 100% of the money and/or products to those organizations. In addition to this program, there’s also a Buy One, Give One initiative, which hearkens back to Petersen’s first foray into mattress giving. It works like this: Interested participants buy the namesake Adopt-a-Bed mattress sold on the nonprofit’s website and then the org donates an identical bed to someone in need. So far, the results are impressive. 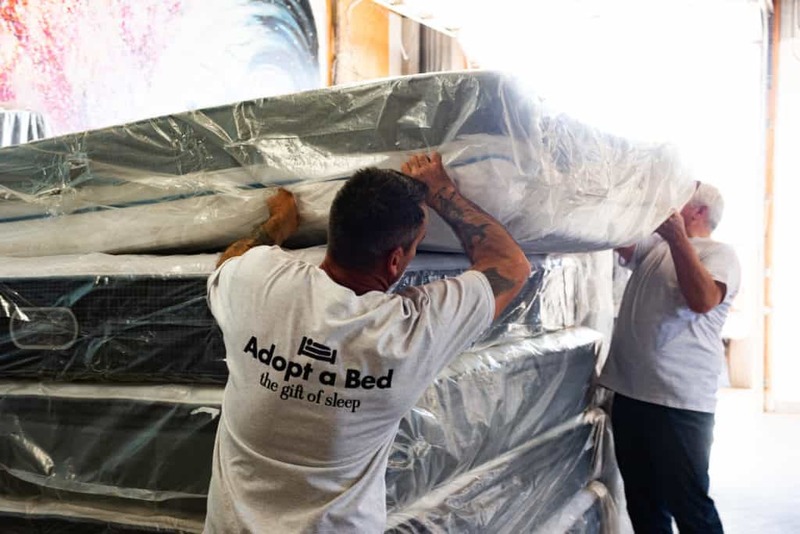 According to Peteresen, Adopt-a-Bed donated 1,100 mattress in its first 90 days and she believes the charity will soon be able to increase that number to 1-3,000 beds per month. Afterward, she hopes to set up a mattress recycling program to intercept discarded beds before they hit landfills. All images provided courtesy of Adopt-a-Bed. Thank you for featuring us on your wonderful site. Not enough people know about us. Our local community takes such wonderful care of our own state of Utah. We are excited about how we are quickly growing and getting to support and help other states. We are so grateful you took the time and effort to feature us. Everyone deserves good sleep, and we will do all we can in towards this effort!